Most media coverage of William Barr’s hearing Tuesday for confirmation as Attorney General focused on how he anticipates handling the Trump/Russian collusion investigation. However, Barr was asked a number of questions about his views on immigration. 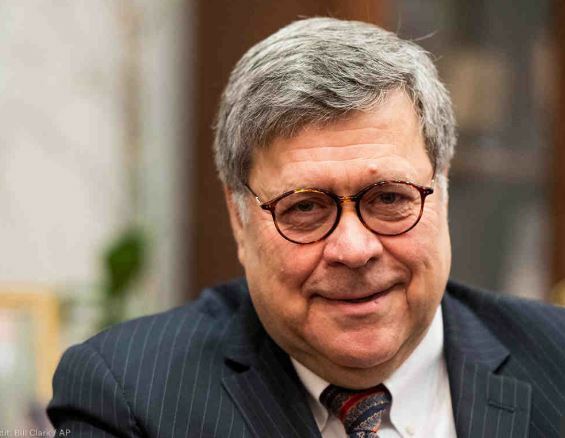 As Attorney General, Barr would have a major role in crafting immigration regulations and he would be in charge of the immigration court system, with the ability to unilaterally hear appeals from the immigration courts. Anyone familiar with disgraced former Attorney General Jeff Sessions’s role in family separation and the attempt to end DACA knows just how powerful the Attorney General can be. Anyone hoping that Barr would bring sanity to the Trump Administration’s decision to shut down the Federal government over The Wall was disappointed. While Barr seemed ignorant of prior funding of enhanced border security, he emphasized his support for the president in response to questions about The Wall. Taking a position in favor of shutting down the Justice Department may not be the best approach for someone who will soon be the boss of thousands of currently laid-off workers. Although Barr admitted that it had been three decades since he had last visited a U.S. Port of Entry at the border, he repeated the unfounded claims of a lack of security along the frontier with Mexico that have become routine Trump talking points. Barr was an immigration hawk long before opposition to immigration was a litmus test for conservatives. For example, after the verdict acquitting police officers in the beating of Rodney King, Barr made remarks that appeared to tie the riots to immigration policy. Barr also supported the implementation of Donald Trump’s Muslim Travel Ban in its most extreme iteration.